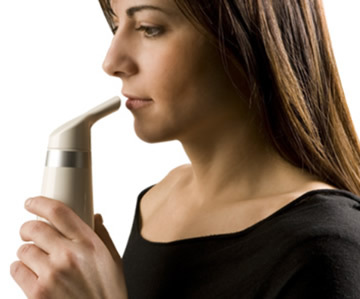 To be able to breathe more easily is a dream come true when you suffer respiratory problems. This salt air inhaler from Salitair can make that happen when used daily as part of a completely natural, drug-free salt therapy treatment. If you haven't heard of the beneficial effects of breathing salty air to aid easier breathing, this review will pleasantly surprise you! This type of natural therapy is most notable for helping to clear the airways and reduce your reliance on medications and inhalers so that you can breathe more normally and enjoy a better standard of health in your life. There are several benefits that can be enjoyed from using this easy-to-use, portable device that is available to buy online direct from the manufacturer at a surprisingly low price. Costs only £19.95 when bought direct! You can take full advantage of this low price when you buy yours direct from Salitair via their official website and enjoy the lowest price by cutting out the middle man. You can visit the site right now and lock in to this great price (just click the rather obvious advertisement image below). Using one of these salt-air inhalers is as simple as putting the ergonomic mouthpiece into your mouth, breathing in as deeply as is comfortable for you then breathing out again through your nose. Simply repeat the process for several minutes. The experience is a bit like visiting the seaside and breathing in the salty sea air. And it's just as pleasant and healthful! How Does Salt Air Therapy Work? 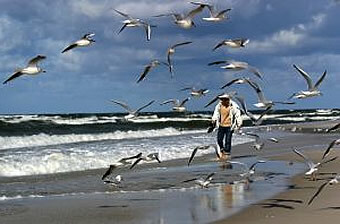 The health benefits of breathing salty sea air are well known and widely documented. In fact the traditional seaside holiday originally came into being so that factory workers could get a fresh air break from their stuffy and often polluted working environment. Many people who suffer from breathing difficulties reported that they felt much better and could breathe much easier after their two week break by the seaside! It was discovered that the reason for the dramatic respiratory improvement was due to the salt itself being a natural healing agent that got to work on the bronchial airways helping to cleanse and disinfect. It increases the body's natural internal cleansing system so that more of the blockages which are mostly caused by excess mucous forming phlegm are removed to literally clear the airways for easier and freer breathing. A salt inhaler works in much the same way by providing you with an instant burst of salty air that you literally breathe into your lungs and out through your nose so that all your airways are treated. The difference is that you don't need to visit an area with salty air because this unit is so compact and portable you can carry it with you and use it wherever you are. The idea is so simple yet so incredibly effective that thousands of people with breathing problems are using these devices to help dramatically reduce the severity of their symptoms and the usage frequency of their medical prescription inhaler. It is literally bottled seaside air!